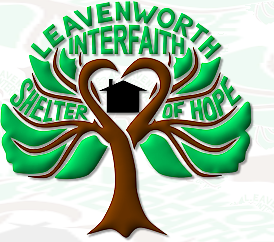 The ministries of FCC Leavenworth are the source of the church’s programs. The members of each ministry gather about once each month to plan for the programs and events under their direction. These people set the goals, plan the calendar and recruit other members of the congregation to help execute their plans. Almost every program, worship service, dinner or other event is planned and directed by the members of the ministries. The ministries are the true source of all the work done by our church. Membership on a ministry is open to all those who have an interest in that ministry. Christian Action- Serves the needs of families in the church and in the community. Its members concentrate on local outreach programs. On occasion, they may help with needs such as food, clothing, furniture and utility bills. They are the congregation's point of contact for church-sponsored community groups, such as Jack & Jill preschool, Scout Troops, Gateway Club and The Leavenworth Listening Post. 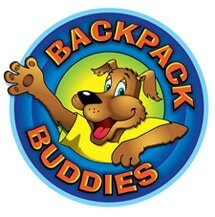 They promote participation in cooperative community programs, such as Back Pack Buddies, Leavenworth Community of Hope, Community Meals and CROP Walk. Christian Education- Is an important role of the church. Age is not a limiting factor to learn more about our faith. It is not just for children. At the present time there are four adult classes. Treehouse Treasures, our Children’s Church, follows the Praise Service during 11:00am Worship. Treehouse Treasures is in Room 204, next to the nursery. The standing committees at FCC serve various functions in the life of the church. These may be long-standing or temporary committees. The persons on the committees serve at the request of the church board and are often appointed by the church’s moderator. Special needs in the life of the church often call for the formation of a special committee. Examples of this are a building committee for the planning of expansion or remodeling, or a search committee for the hiring of church staff. A gathering open to all military (past & present) and those who care for them to create a community of support. Meets Sundays at 6:30pm.